Katech is a well known and highly regarded General Motors engine tuner and builder. The company once built the V8 engines that powered Corvette Racing’s famously reliable and epic-sounding race cars and still today provides V8 engines to teams in the Trans Am Series and Pirelli World Challenge. They also provide aftermarket tuning solutions to owners of road-going GM performance cars and build and sell crate engines, among much more. Knowing this, it’s really no surprise that Katech has already tuned GM’s new 755 hp 6.2-liter supercharged LT5 engine up to over 1,000 hp and 1,000 lb-ft of torque. The company installed it’s own ‘Extreme DI’ fuel system on the engine, along with new injectors that support the use of E85 fuel, a Z-Industries Griptec pulley and a Katech 103mm throttle body. They also ported the supercharger and ran open headers and a more efficient intake on the engine when it was on the dyno. All said and done, this 6.2-liter LT5 engine makes 1,013 hp and 1,011 lb-ft of torque. The Extreme DI fuel system is what really makes the difference here, the company says, which consists of controller, a secondary fuel pump and new injectors. As the engineer explains toward the end of the dyno video embedded above, they were able to boost this engine up to over 1,000 hp using only bolt-on mods – mostly thanks to the upgraded fuel delivery system. 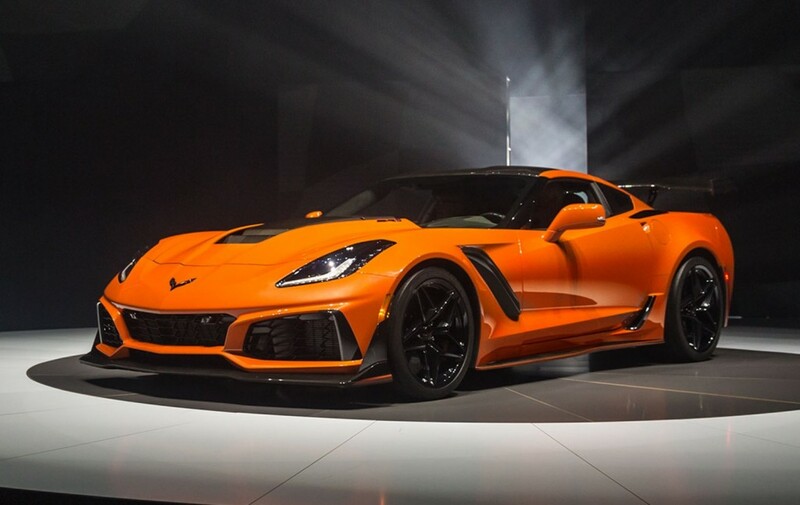 As you likely already know, the LT5 engine is only available in the 2019 Corvette ZR1, where it is paired with a seven-speed manual transmission or eight-speed automatic. Chevy claims the ZR1 will sprint from 0-60 mph in around 2.85s and keep on accelerating until it hits a top speed of 212 mph. Some publications have also clocked the ZR1 at sub-11 second quarter mile times with 130+ mph trap speeds. Prices start at $119,995 for the base model. E85? I thought E85 was for people pinching pennies. How does it benefit? If you have the right upgrades then E85 can be quite a benefit, it has a high octane rating (~105) and ethanol also has good cooling properties. This can be kind of a “cheat” allowing you to crank the boost on a forced induction engine higher than you might be able to on pump gas, as I understand.